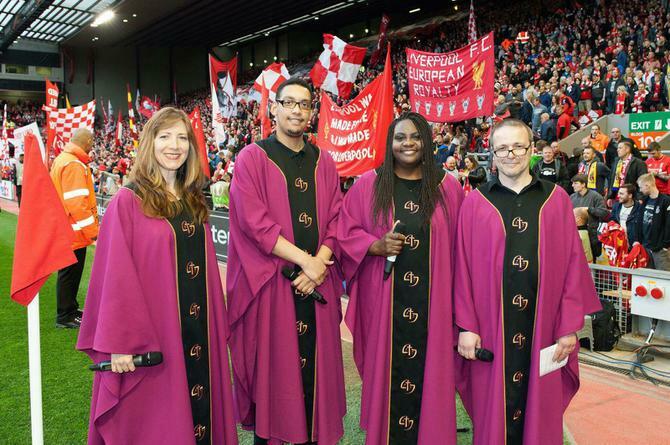 Our brilliant guitar teacher, Mr. Hawley, was the centre of attention at Anfield in front of 45,000 fans and a world-wide TV audience when he sang 'You'll Never Walk Alone' before Liverpool's Europa League match against Villareal. In an emotional atmosphere following the momentous events of the Hillsborough judgement, he captured the moment with his wonderful rendition and brought tears of joy to millions. Congratulations Mr. Hawley - everyone is so proud of you! 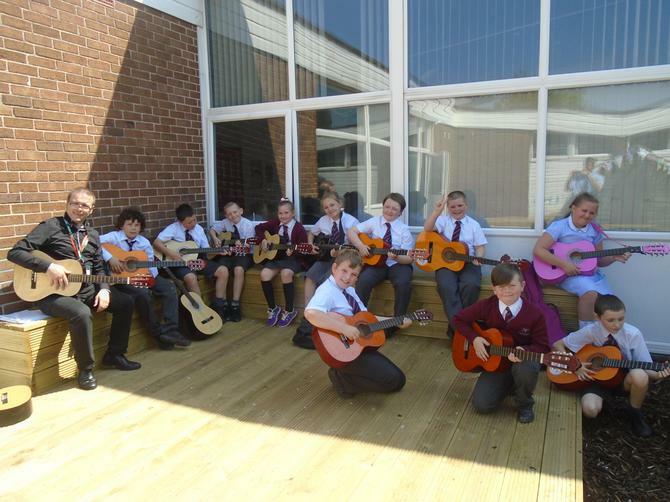 Please click on the podcast link below to see Leighton and Adam in Y6 playing the James Bond Theme with Mr. Hawley in the recently completed Reading Garden.